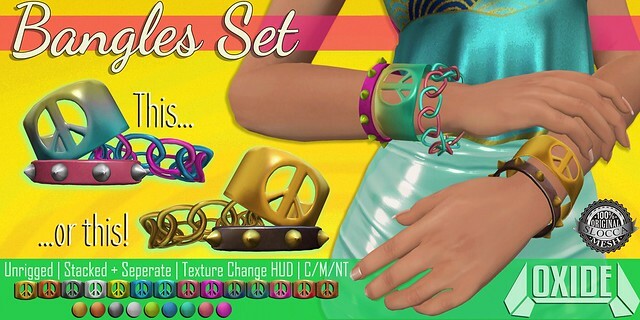 OXIDE Bangles Set @ Rewind: 80s! 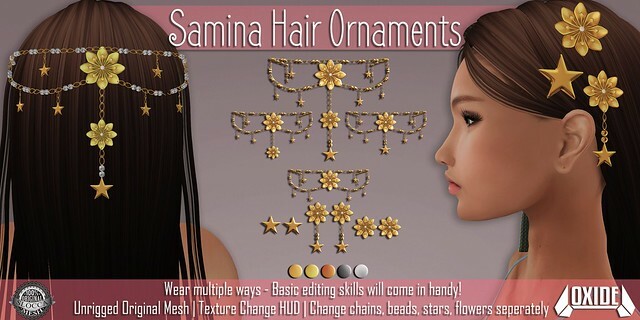 Hair: /Wasabi Pills/ Raven (F) Mesh Hair – A @ Fantasy Faire NEW! Complete Outfit: ::UNA:: Sakura – Gacha @ The Secret Hideout NEW! 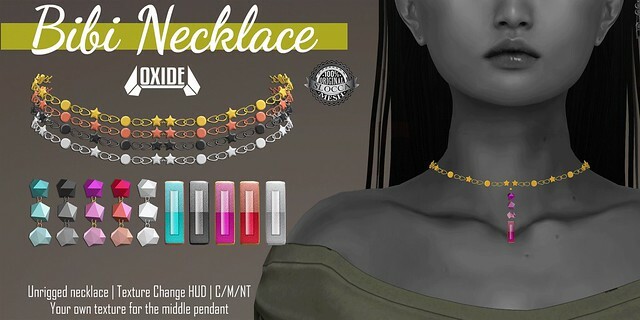 Complete Accessory: ::UNA:: Sakura Gacha @ The Secret Hideout NEW! 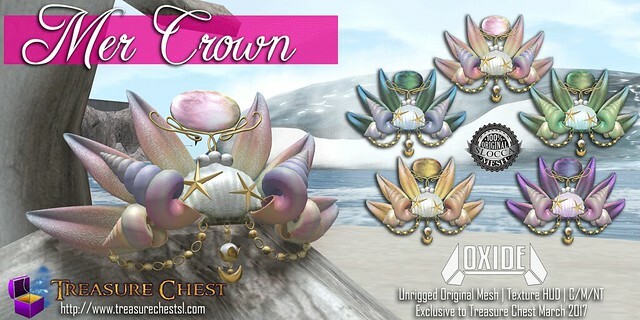 The Mer Crown is only available through Treasure Chest Subscription for ONE year, before we can release it instore or marketplace. Treasure Chest is Second Life’s first roleplay oriented Subscription Box event with a Fantasy, Steampunk, Post Apocalyptic and Sci-fi theme. Every month a selection of the grids best designers will be bringing you new, completely exclusive, original creations only ever available through the Chest. Sign up costs 1500L and is open from now til March 14th, 11.59PM. After that date, the price of the Chest will double. You should know how to swim. Otherwise, this will just be weird. Very useful to assert your authoriteh when ruling the Seven Seas – or however many Seas your Universe contains. 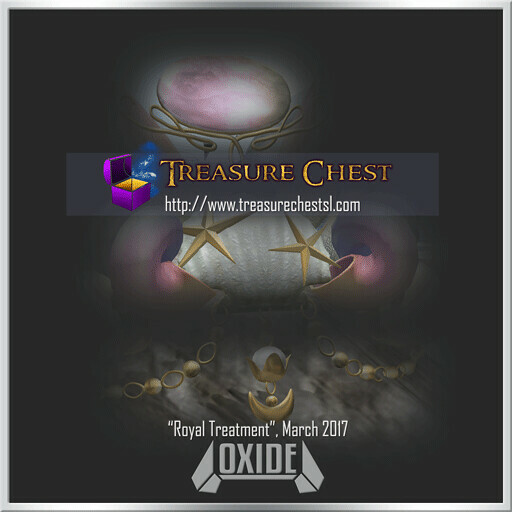 This item will not be available outside of Treasure Chest for one year, so please don’t forget to sign up to Treasure Chest before 15th March!